Why does Canadian milk matter? Canadian dairy farmers have been a part of this great nation’s history since the very beginning. Whether Jacques Cartier or Samuel de Champlain, those travelling to the New World made sure that cows were onboard their ships. To these explorers, cows were a lifeline that was envisioned as a consistent source of healthy food; to them, dairy meant survival. Not long after these brave adventurers arrived, Canada’s first dairy farms were established. Indeed, many of the dairy farms that are still in operation today are older than Canada itself, dating to well before confederation in 1867. These dairy farms, passed down from generation to generation, and the farmers that run them, have long acted as stewards of our Canadian land. From the time of Canada’s first settlers to today, dairy has been a staple of our nation’s rural communities – while providing healthy, high-quality milk for our urban centres. Dairy is a longstanding part of Canada’s history. It is both a sustainable provider, and a key economic driver for our country. Dairy has always been at the heart of Canada, because Canadian milk matters. Canadian milk matters because Canadian dairy farmers care about their animals, the environment, and how their milk is produced. Canadian dairy farmers have always cared deeply about the welfare of their animals, preserving the environment, and the sustainable production of high quality milk. 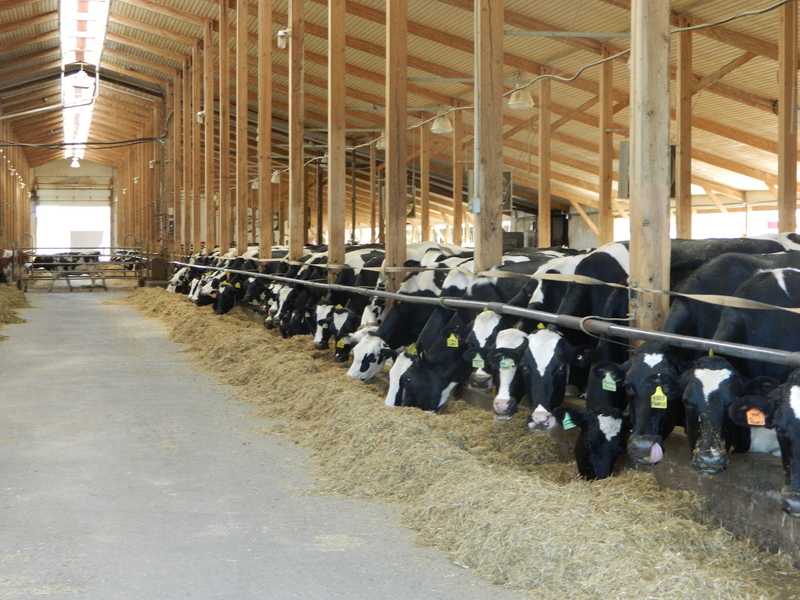 Dairy farming in Canada has a long history of sustainability, but in the internet age, it became important for dairy farmers to tell that story to Canadians. This is why Dairy Farmers of Canada developed the proAction initiative, an efficient and co-ordinated national framework for on-farm sustainability standards and best practices. The proAction initiative includes national standards for milk quality, food safety, animal care, traceability, biosecurity, and the environment. As a result of these efforts, the Canadian dairy sector, on its own initiative, is dedicated to meeting and constantly improving the quality and safety standards that are rigorously set and adhered to by all our farmers. Please click here for a short video with more information on proAction. Canadian milk matters because dairy farmers care about their communities, their fellow Canadians, and their country. Dairy farmers have played an integral role in this nation’s rural fabric ever since the first cattle were brought to Canada hundreds of years ago. Dairy farmers take pride in their country, and strive to be active participants in their local communities; they have also always tried to give back to their fellow Canadians, particularly when times are tough. During the Great Depression, for example, many dairy farmers were known to donate portions of their milk to those who couldn’t afford to make ends meet. In the spirit of this tradition, today, Canadian dairy farmers donate over 2 million litres of milk per year across Canada to food banks. Canadian dairy farmers believe that all families should have access to healthy, nutritious food.A vibrant Canadian dairy sector means more rural jobs, more rural infrastructure, and stronger rural communities. Whether you live in a rural area or an urban centre, Canadian dairy means a stable supply of the safe, high quality milk that Canadian consumers have come to expect. Canadian milk matters because dairy is a vital part of our national economy. The Canadian dairy sector contributes $19.9B to Canada’s GDP, and $3.8B in tax revenues, every year. It sustains 221,000 full-time equivalent jobs across the country. Dairy is either the top or second agricultural sector in 7 out of 10 provinces. Furthermore, unlike other jurisdictions where farmer’s incomes are heavily subsidized, Canadian dairy farmers receive no direct subsidies and derive their income from the marketplace. In Canada, you only have to pay for your milk once - at the store. This is a homegrown industry built by Canadians, for Canadians, and it is worth nurturing. Canadian milk matters because it is among the most nutritious, safest, highest quality dairy on the planet. Milk is an important component of a healthy lifestyle and a nutritious diet. It contains up to 16 essential nutrients, and several studies have shown that they may contribute to reducing the risk of certain diseases or conditions such as: obesity, type 2 diabetes, hypertension, osteoporosis and colorectal cancer. Dairy farmers believe in the power of Canadian dairy products for a healthy future. This means a healthy Canadian economy, healthy Canadian communities, and healthy Canadian citizens. You can find all of milk’s benefits in cheese, yogurt, ice cream, and other dairy products. For all of these reasons and more, My Canadian Milk! The My Canadian Milk movement arose out of a call for public support of the Canadian dairy sector as the Trans-Pacific Partnership trade talks gained momentum in 2015. During this campaign, Canadians from both urban and rural ridings in every province across the country sent letters voicing their concerns about the potential impact of this deal on Canadian dairy to their Members of Parliament, and key Cabinet Ministers (Trade, Agriculture and the Prime Minister). In the end, nearly 35,000 Canadians sent over 216,000 letters to MPs, Ministers, and political party leaders, calling on them to ensure that Canadian dairy would not be adversely affected by the trade talks. Though tensions and uncertainty over the end deal ran high in the final weeks of both the negotiations and the election campaign, ultimately the Canadian government respected the wishes of these 35,000 Canadians, surrendering only a small portion of Canadian dairy market to TPP trading partners while compensating Dairy Farmers $4.3 Billion over 15 years to ensure the industry remains an essential and successful part of the Canadian economy. The first My Canadian Milk campaign was a huge success – and dairy farmers from across the country were overjoyed at the amount of support they received from their fellow Canadians. Your collective efforts were so successful that the campaign won several communications and advocacy awards in 2016. In Canada, My Canadian Milk won two Achieving Communications Excellence (ACE) awards, presented by the Canadian Public Relations Society of Toronto. It even received international attention, winning U.S based Campaigns and Elections Reed Award for “Best Canadian Website” in digital advocacy. The new My Canadian Milk website expands on the advocacy that was done on the Trans-Pacific Partnership in 2015 to include many new issues that supporters of Canadian dairy should be aware of. My Canadian Milk is meant to be a portal to share the issues impacting Canadian milk with concerned Canadians; to connect with like-minded advocates at the grassroots level; to harness grassroots activism to ensure continued Canadian food sovereignty; and, of course – to protect our Canadian milk! The Voice of Canadian Dairy. 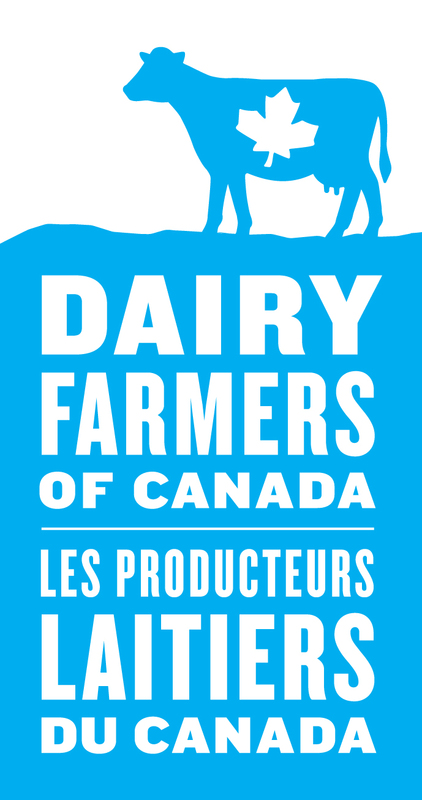 Dairy Farmers of Canada (DFC) is the national policy, lobbying and promotional organization representing the farmers on each of Canada’s 11,280 dairy farms. DFC’s goal is to create stable conditions for the Canadian dairy industry that allow it to thrive and remain a cornerstone of Canada’s economy and rural communities for generations to come. With this in mind, DFC works to maintain and help generate policies that foster the continued viability of Canadian dairy farmers, and promote dairy products and their health benefits. Dairy farmers fund all of DFC’s operations, including promotional activities. Canadian dairy products for a healthy future. A healthy future for dairy farmers - Making sure our industry is viable over the long term. a key economic driver, and provides stability and growth for the national economy. A healthy future for Canadians – Canadians, every day, benefit from the nutritious milk produced by Canada’s dairy farmers. This is something we take great pride in.